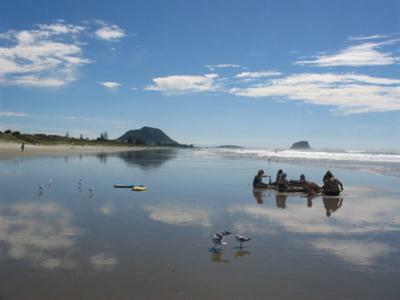 Cosy Corner Holiday Park is the perfect beach holiday at stunning Mount Maunganui in the Bay of Plenty. 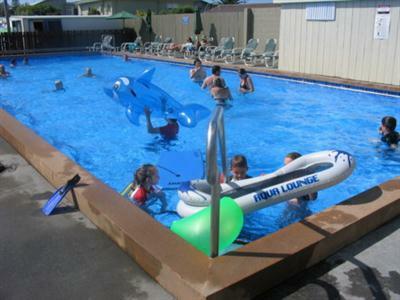 Stay with Cosy Corner Holiday Park and you are literally 80 metres from Omanu Beach. Whether you’re keen on surfing, swimming, long sunset walks or just sinking your toes in the sand - Omanu Beach and the nearby Mount Main Beach are the places to be. As well as beautiful beaches, you can spend hours relaxing in our large solar heated camp swimming pool (summer only) or warm up in our hot tub. Stay on one of our campsites, in a cabin or in one of our fully self-contained units. We have a games room for the kids, and an excellent covered outdoor dining area with electric barbecues and seating for 50 people. Attached to the dining area is a TV lounge, and the entire camp is a Wifi hotspot. 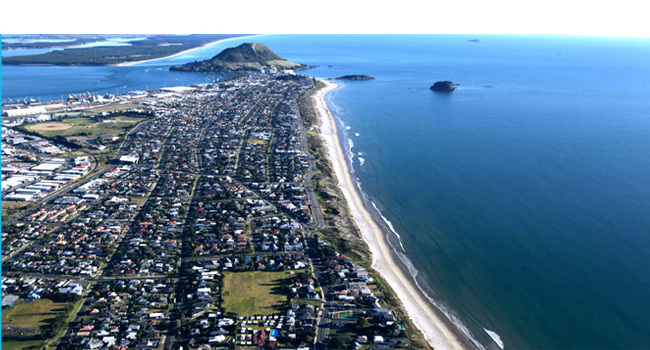 You’ll also enjoy the cosmopolitan lifestyle to be found in Mount Maunganui - funky cafes, award-winning restaurants, vibrant nightlife, boutique shopping, cinemas and more. 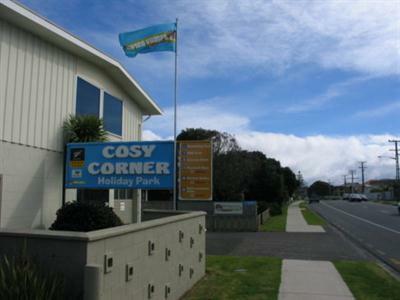 Cosy Corner now operates as a summer Holiday Park and will be open from the 20th December until Easter plus Labour Weekend. 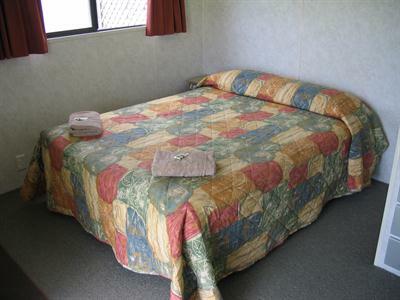 Studio Self contained units sleep 4 people, 1 Queen, 1 set single bunks. 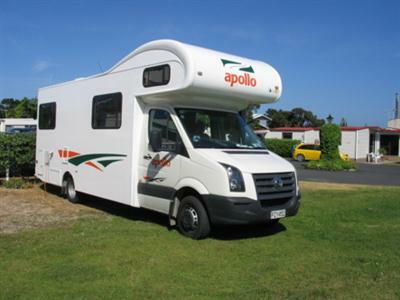 Family self contained units sleep 5 people, 1 queen bedroom, 2 single/bunk beds, 1 fold out sofa bed. Dairy, Liquor Outlet, Takeaway Bar, Thai Restaurant, and Cafe, all only 300 metres from the gate. 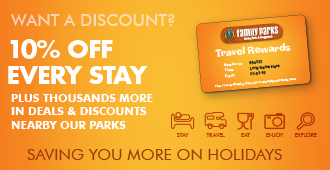 * * Deposit Policy: A deposit of one nights accommodation is required to secure your booking (your card will be charged within 24 hours of booking confirmation). 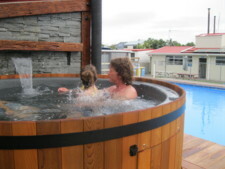 Minimum deposit required for peak season bookings is $250 (sites) or $400 (accommodation). * * Cancellation Policy: If you fail to give adequate notice of your cancellation, minimum of 14 days, you will forfeit your deposit or the equivalent of one night's stay, whichever is the lesser, and your booking will be cancelled. If you give us adequate notice to cancel your booking we will refund your deposit (less a $20 administration fee). If you fail to show without notice you will be charged for the full time booked. **Peak Season and Public Holiday Weekends: Deposits are non-refundable should you need to cancel for any reason, unless we can re-let your unit or site. After arrival, if you need to depart early for any reason, we will only refund the balance of your stay if we can re-let your unit or site for the remainder of your booking. Any refunds will be less a $20 administration fee. **Group Bookings: Balance of payment is required 30 days before your arrival. At this time we also require credit card details to hold as security for any damages or excess cleaning required. Deposits for group bookings of 2 or more units/sites are non refundable unless the units/sites can be re-let. Refund is not guaranteed if group bookings are cancelled with less than 30 days notice, unless we can re-let all the units/sites for the full time booked. Any refunds will be less a $20 administration fee. Charges for any damage caused or excess cleaning required on departure, will be charged to your account. Sorry, rates and availability information is not accessible for selected dates. Please contact us by email: stay@cosycorner.co.nz with your enquiry. Thank you.